Agent Kuroi: First off, I’d like to ask a little bit about what each of your roles are, as a director, Omori-san, and as a producer, Sato-san. Takahiro Omori: I’m in charge of the actual content of what will go into the animation. 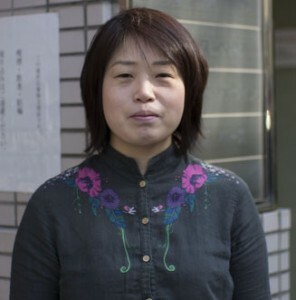 Yumi Sato : I handle the people and organize the schedule and timing for everything. Agent Kuroi: You guys have worked on a lot of projects together. What was your favorite project to work on together? Or separately, even. Yumi Sato : For me, it’s definitely got to be Natsume’s Book of Friends. Takahiro Omori: I love Natsume, and I love Princess Jellyfish, but as far as the total package of the show, it’s Baccano!. Agent Kuroi: This is for Omori-san. What is the difference between adapting a light novel, like Baccano! or Durarara! !, and adapting a manga, like Princess Jellyfish or Natsume’s Book of Friends? Takahiro Omori: Well, there are definitely a lot of differences. I guess that manga already has pictures, so I have an idea of what to follow, and the trend is to follow that for an adaptation. It’s a little simpler because you already have guidelines. But regardless of what sort of format, I always want to capture the feeling of it, the soul, if you will, and interpret that as best as possible into an animated medium. There’s a few different techniques, but that’s the overall goal. Agent Kuroi: As a producer, you work with a lot of different types of people. Who is the most complicated group to organize? Yumi Sato : Difficult….it’s not so much difficult as troublesome. Everyone has their own habits that they sort of fall into while working on a project. Omori-san may look like a functional human being, an adult who would be reasonable to work with, but that’s actually not true at all. Don’t let his face deceive you. Agent Kuroi: For anime adaptations, where do you pick where to stop? How much to put into each season, or in the case of Natsume’s Book of Friends, how to rearrange arcs? Takahiro Omori: Well in the case of Natsume’s Book of Friends, it’s already predetermined that a season will be 13 episodes, so we want to be sure to start off with a more gentle arc and have it progress up to a more dramatic, more climactic arc to finish. So we rearrange the content to better fit that, to make it a more complete, enclosed package. Agent Kuroi: This is for both of you. What has your favorite fan reaction been, either in Japan or from fans abroad? Takahiro Omori: In general, people who come up and tell me that they’ve seen a series I’ve worked on multiple times, I’m always very appreciative of, but sometimes, I can tell that a person has seen it so many times that I can feel their appreciation without them even having to say it in words. I can tell that they truly love a series, and that makes me feel the happiest. Agent Kuroi: Are you surprised at the popularity and reception of the series you’ve worked on in the United States or other countries outside of Japan? 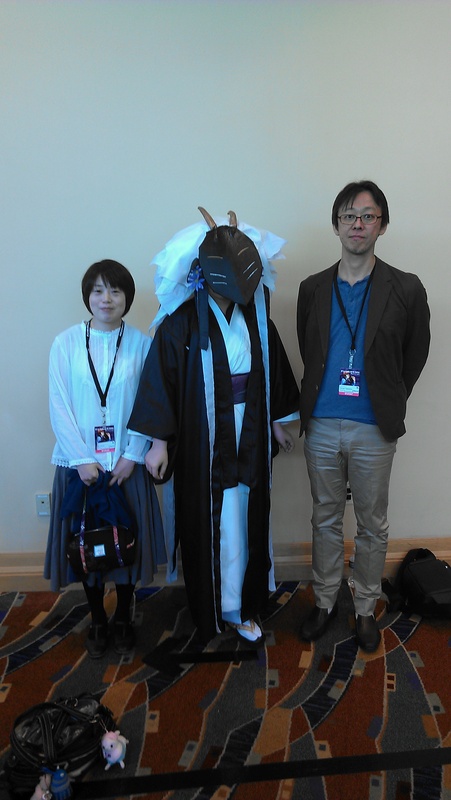 Takahiro Omori: Specifically with Natsume’s Book of Friends, its content is meant pretty much directly for a Japanese audience, so I was very surprised to hear how popular it was in the United States especially. Yumi Sato : Even now I’m surprised at how popular it is. Agent Kuroi: Natsume’s Book of Friends and To the Forest of Fireflies were both written by Midorikawa-sensei, but one was adapted from a manga, and one was an original work, yet they both have a very similar feel. How did you make sure to keep each one distinct, but keep that same feel? Takahiro Omori: The original sources are fairly different in tone, so we didn’t really need to do anything specific to separate them. In Natsume’s Book of Friends, the friendships and themes are warmer, a little lighter. It’s a happier feeling, while Fireflies has a darker sense and is more mature-themed, more tragic. In that sense, it wasn’t too difficult to differentiate; the words are pretty separate. In Natsume, it’s a story about Natsume opening himself up to the larger world, expanding his world. Fireflies ends up being a story about the two characters creating their own world, isolating themselves from the rest of the world. Yumi Sato : When we decided to make Fireflies, I said I wanted to keep the same staff; it was a pretty big goal for me. Normally because it’s a different property, you’d have a different staff, but I wanted to keep the staff exactly the same, and they all said they wanted to stay on, so I was very happy about that. I wanted to keep the feel the same and keep the same quality of work we’d gotten with Natsume’s Book of Friends. Agent Kuroi: This is for Sato-san. How did you go about becoming a producer? Yumi Sato : To tell the truth, I started out as a coloring artist, but had an interest in moving on to the production side. I asked around to join the production staff, and got in, and somehow, I ended up here! Takahiro Omori: It’s more that you like talking to people and organizing people than actually creating things! Yumi Sato : Thank you, I guess. Agent Kuroi: This is for both of you. Did you watch a lot of anime or read a lot of manga when you were younger? 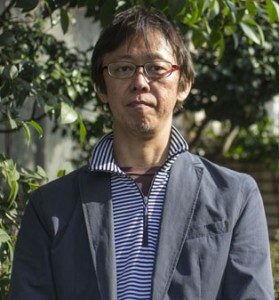 Takahiro Omori: I loved watching anime and reading manga, but it was actually forbidden in my house to read manga or watch anime, so I’d read and watch as much as I could when I was out. Yumi Sato : I didn’t really start reading manga until I was an adult— I read a lot more now for sure than I did as a child— and I only watched a little anime. Agent Kuroi: Was there any one series that particularly inspired you to want to get into this line of work? Takahiro Omori: I loved Anne of Green Gables and Moomin. I’m a huge fan of the original books, but seeing those translated into anime was really neat to me. Agent Kuroi: Around the office, working with a lot of the same people for a while, do you get up to any pranks? Takahiro Omori: But we get to see everyone’s good and bad sides so we end up arguing about things and getting really testy, but then the next day we’re all smiles again and everything’s happy. Yumi Sato : Omori-san and I first started working together on Baccano!, and he was very shy. He wouldn’t really talk to anyone and was withdrawn from the rest of the staff, and the staff really noticed that and very diligently tried little by little to try and get to know him and pull him out of his shell. But he was being stubborn and staying withdrawn from everyone— and probably getting more and more irritated, despite their best efforts. Finally, the Brains Base staff went on a trip and we went to a late night karaoke session and we got him to break down and open up. Takahiro Omori: Was that really it? Agent Kuroi: Since we’re out of time, one last question, just out of the blue. What’s your favorite food? Yumi Sato : Watermelon, definitely. Agent Kuroi: Thank you both so much again, and I look forward to your works in the future!